Master Sri Aurobindo is widely seen as a modern philosopher, but his philosophy was the gnostic philosophy of a master. Enlightenment - so master Sri Aurobindo - is not a toy that is layed into the hands of children.
" The supramental being will bring the individual self in union with the cosmic self, the will and the acting of the indiuvidual being with the cosmic will and with the cosmic work"
"The gnosic consciousness is a consciousness in which all contradictions are cancelled or fused into each other in a higher light of seeing and being, in a unified self-knowledge and worldknowledge. She seeks God not because of any things that he can give us, or any special advantages he can give them, but simply because he is our self, our whole being and our all... Alone by this Ananda can the gorge between the loftiest heights of the truth - consciousness and the deepest depths of matter be covered. "If mankind could but see though in a glimpse of fleeting experience what infinite enjoyments, what perfect forces, what luminous reaches of spontaneous knowledge, what wide calms of our being lie waiting for us in the tracts which our animal evolution has not yet conquered, they would leave all and never rest till they had gained these treasures. But the way is narrow, the doors are hard to force, and fear, distrust and scepticism are there, sentinels of Nature, to forbid the turning away of our feet from her ordinary pastures", Sri Aurobindo in " Thoughts and aphorisms". There exist no official methods of the purna-yoga. Sri Aurobindo said in his first years that "pranayama, pranayama ..." is the best method. In his 'Life Divine' and in The supramental manifestation' he praises the tantric system. Later he said privately that meditation on the name "OM Sri Aurobindo Mira" is sufficient, but both said that sincere aspiration and surrender to the divine are essential. The Mother said later that her 'Mantram' is 'Om namo bhagavate' and that it is the method of the purna-yoga to open the highest chakram und to awaken the light of the divine spark in the heart. 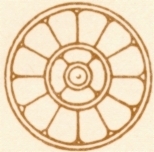 * The books of Sri Aurobindo are for download as PDF on the website of the Sri Aurobindo Asram and on Intyoga-Fr and on miraura.org. The books af the Mother are available as PDF on the site of the Sri Aurobindo Ashram. Sri Aurobindo : "Hymns to the mystic fire"